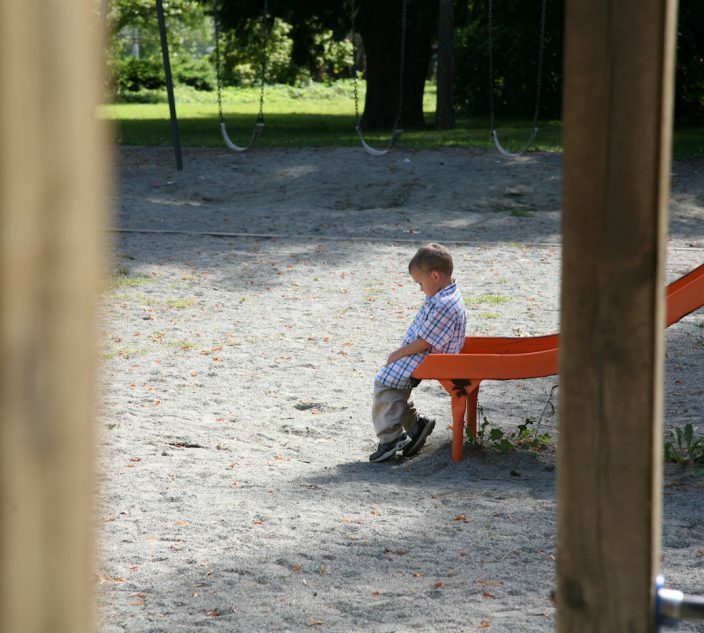 College life is filled with newfound freedom and opportunity, but also new responsibility. At the top of freshman to-do lists are figuring out class schedules, meeting roommates, and learning to navigate the huge campus. 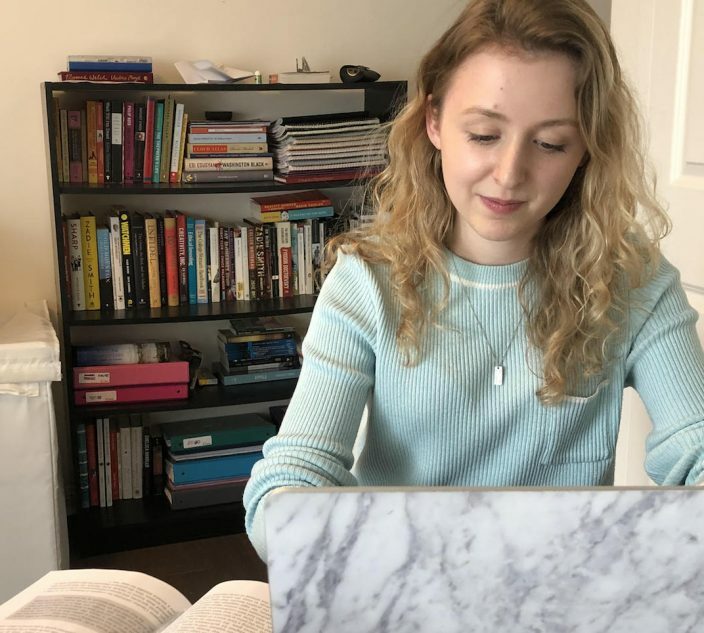 Students who have allergies, asthma or celiac disease have even more on their plates, since they need to manage their health conditions as well as their studies and social life. This is where a simple smart idea – a life hack – can save the day and send stress packing. 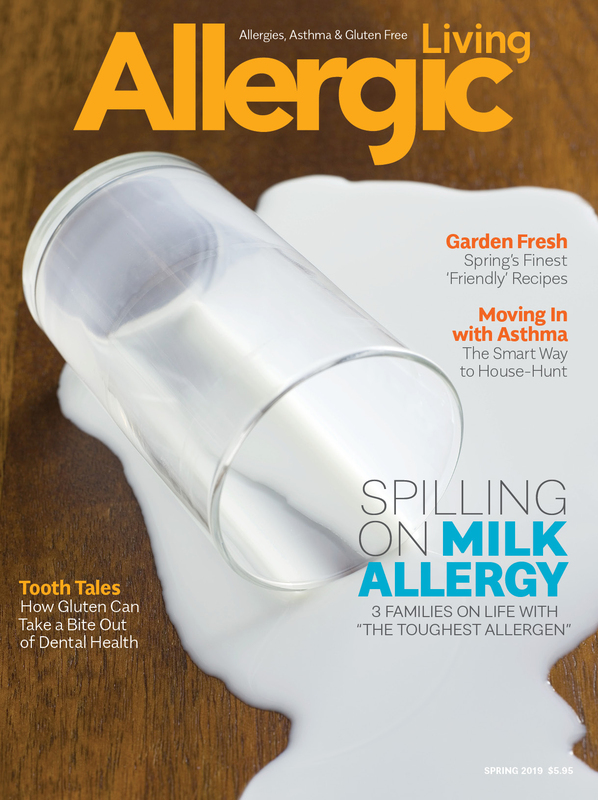 Following is Allergic Living’s compilation of creative solutions, based on suggestions from students, parents, and allergists in the college trenches. Avoid look-alike water bottle mix-ups and the risk of allergen or gluten cross-contact with the reusable Contigo Purity Glass Water Bottle. Choose your own color, and engrave your name on the front of the phthalate-free, BPA-free bottle, which is protected by a durable silicone sleeve. 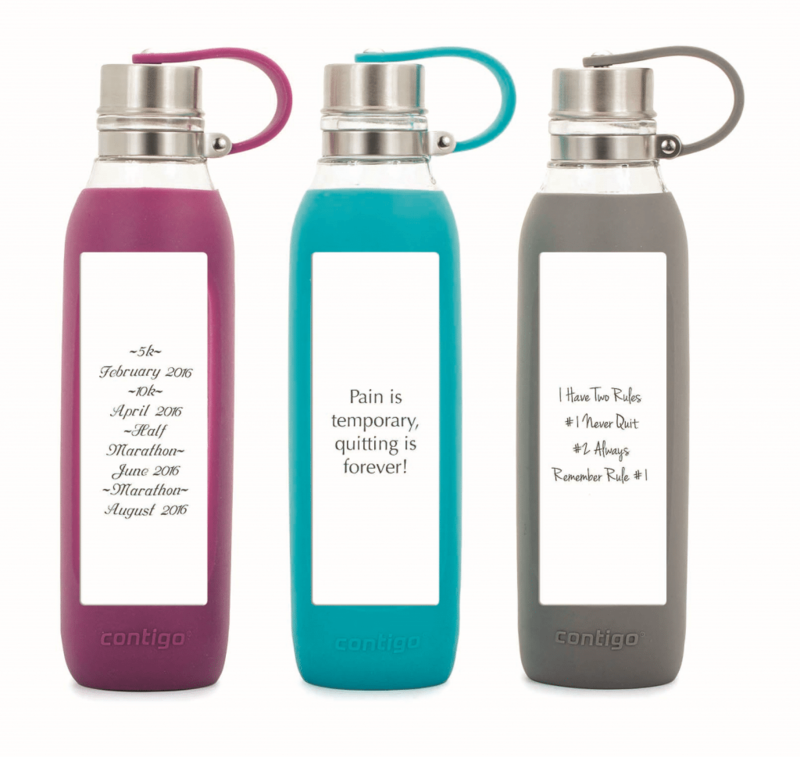 You may even want to add a favorite quote on the back to keep you inspired, and hydrated, all day long. Visit Things Remembered. Fast, fun and maybe fruity. 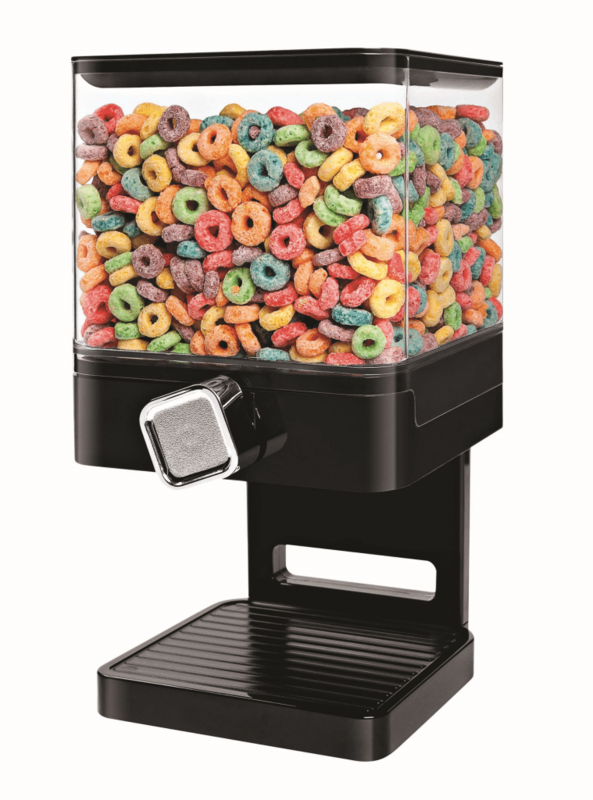 Erase any worry of allergen-laden (or even germy) roommate hands digging around in your cereal box with a Honey Can Do cereal dispenser. These cross-contact protectors come in a variety of sizes to fit dorm needs. Besides breakfast, now you can graze on allergy-friendly or gluten-free cereal all day long, as a healthy snack option. The dispensers are also a playful way to share snacks safely. Visit Zevro. When you want emergency help – now. It’s challenging to self-administer rescue medications, such as an auto-injector or an inhaler, while trying to raise the alarm that you need assistance. This is where the free ICE Contact app presents a great just-in-case solution. The app can text or email a pre-composed message for help instantly, while sharing your precise location with campus security, family and friends. (Your contacts don’t need to have the app.) Remember though, that in an emergency, seeking Emergency Services (911) and following campus protocol are your first priority. 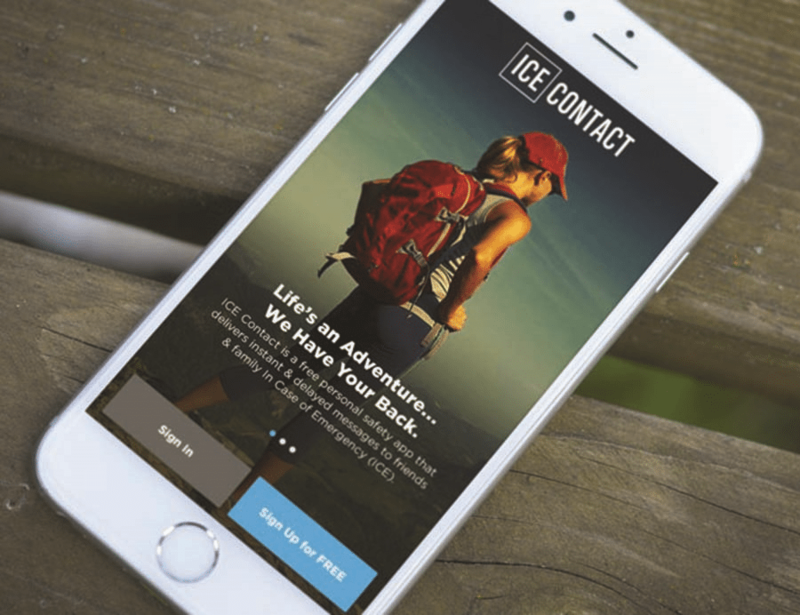 Visit Ice Contact. The kind of spill to avoid. Visualize your health as a water bucket. Every time water is added, the bucket inches closer to flowing over. When you have asthma, pollen, smoke, mold, dust, exhaustion and other triggers can combine to quickly fill that personal bucket beyond the brim, sending you racing to the health clinic. Create a plan to stay healthy by taking a few minutes to explore your new environment. Devise strategies, such as walking on paths away from blooming trees or smokers. 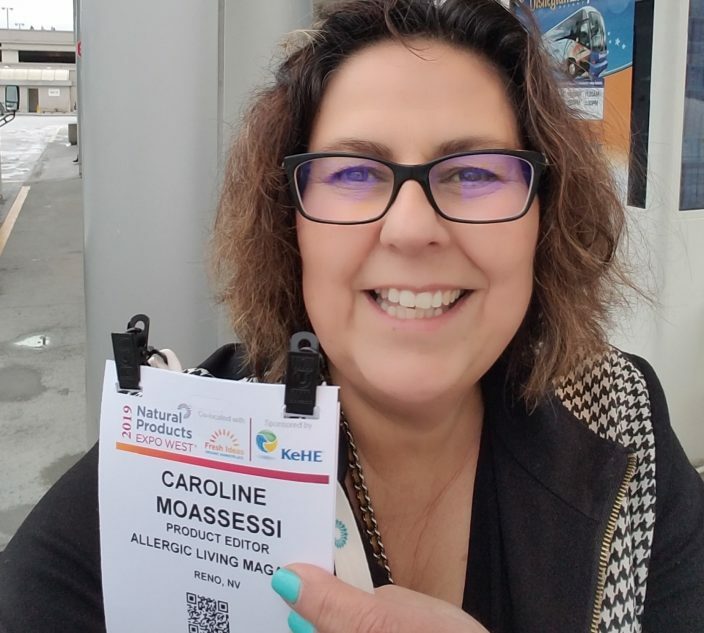 One handy idea in case the bucket does tip over: hang your Food Allergy or Asthma Emergency Action Plan on a dorm room wall using Reusable Dry Erase Pockets from C-Line Products. The holder can hang on a hook, to be grabbed quickly in a crisis. Highlight select information right on the pocket with a dry erase pen. 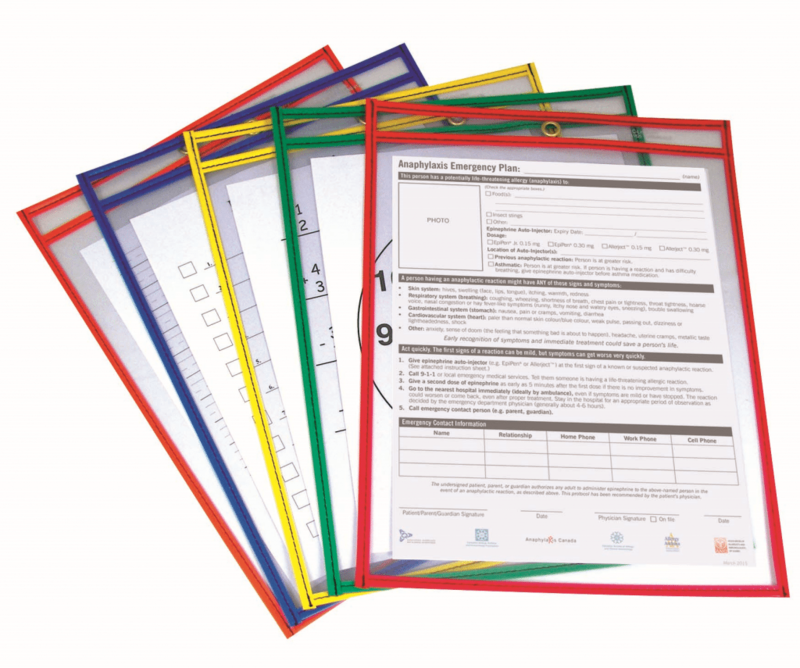 Visit C-Line Products; Food Allergy Emergency Care Plan; Asthma Action Plan. After a long night of hitting the books, the Suction Cup Blackout Curtain from Dormco will help to protect precious shut-eye. Adequate sleep will boost any student’s academic attention span. However, it’s especially important for asthma control, and keeping the immune system’s inflammatory response in check. To let the sun shine through, simply remove the easily installed suction cups and store the curtain. 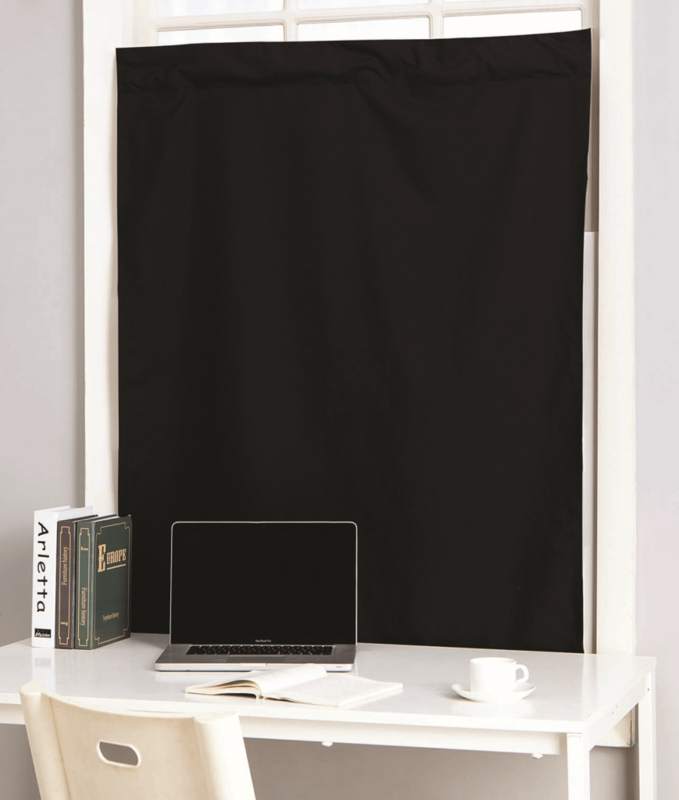 For those wanting a permanent cave effect, Dormco also sells the Magic Blackout Blind that adheres to dorm windows. Visit Dormco. For shipping to Canada, check JYSK. 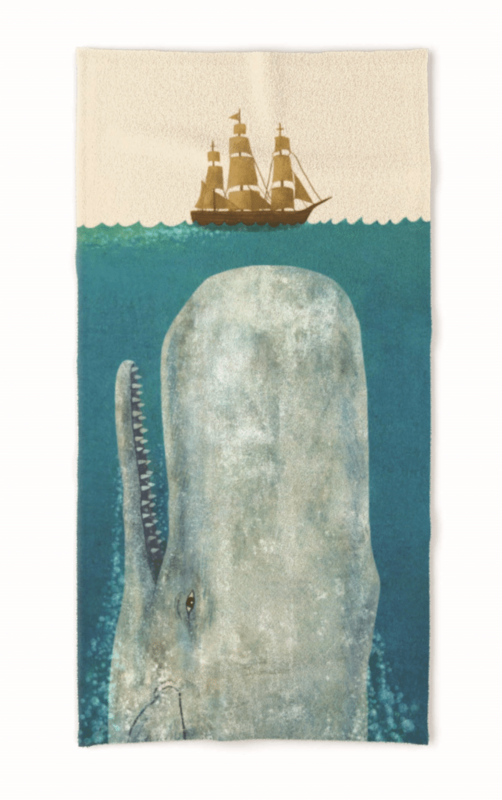 Reduce roommate mix-ups and cross-contact worries with Society 6’s matching collections of original art bath and beach towels, mugs, totes and more! 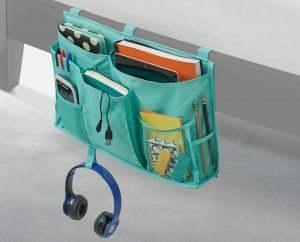 Standout with a design that fits your unique personality, while sending a clear signal that these are your personal items. The distinct visuals make it easy for friends to remember: “Must keep hands off these.” The trendsetting gear also adds a welcome touch of art and style to your room. 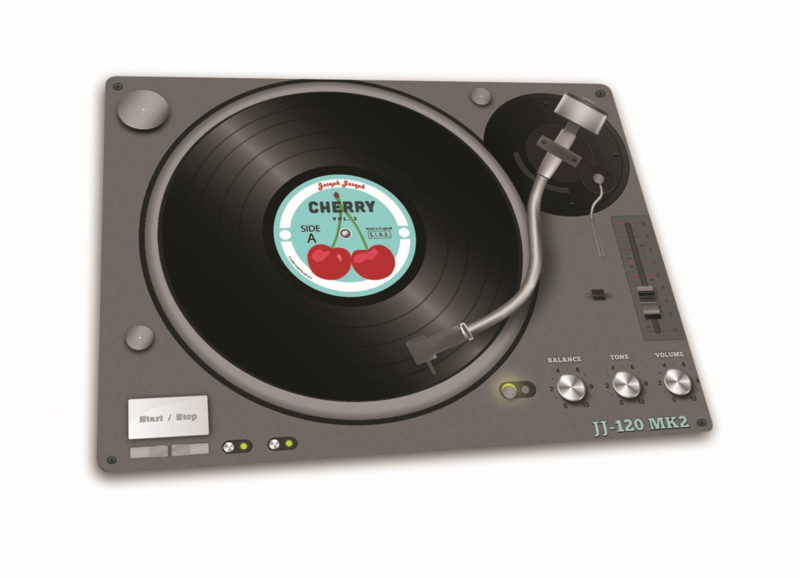 Visit Society 6. Most colleges allow small microwaves, which is a dream for those on special diets. 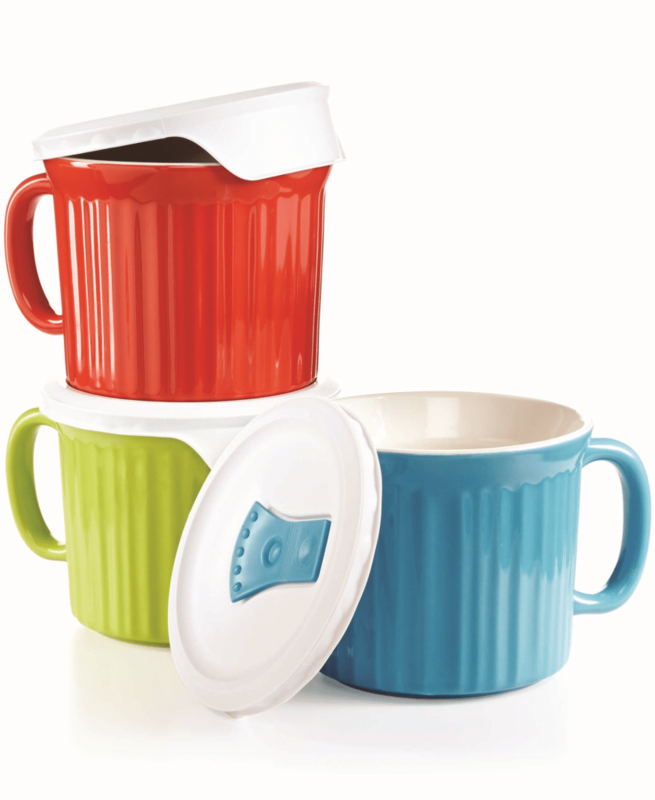 Now you can use one of the Corningware Pop-In Mugs with vented lids to heat up soup and chili in that microwave or to reheat leftovers for a quick safe snack. The colorful and durable 20-ounce stoneware containers come in a set of three, are non-porous, can handle hot or cold beverages, and can even be used in an oven or freezer. Just add cutlery, and there is never reason to go hungry. Visit Corning Ware. Is it a hungry student’s helper or art? Joseph Joseph’s eye-catching selection of Worktop Savers are made of heavy tempered glass and can be used for chopping or handling hot dishes or cooking utensils. Each of the culinary work horses has non-skid feet, and is so durable that the company offers a lifetime guarantee against breakage. The distinctive styles clearly indicate a surface that’s for “friendly” food only. Now you can protect surfaces and stay safe, while starting an art theory discussion. Visit Joseph Joseph. For shipping to Canada, visit Amazon. Move over old school ID wear. 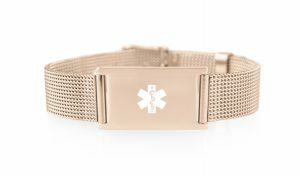 in rose tone (or plain stainless), the face on this identification bracelet provides ample room to engrave allergens or medical conditions. With an easily adjustable watch-style band. Visit Laurenshope.com. 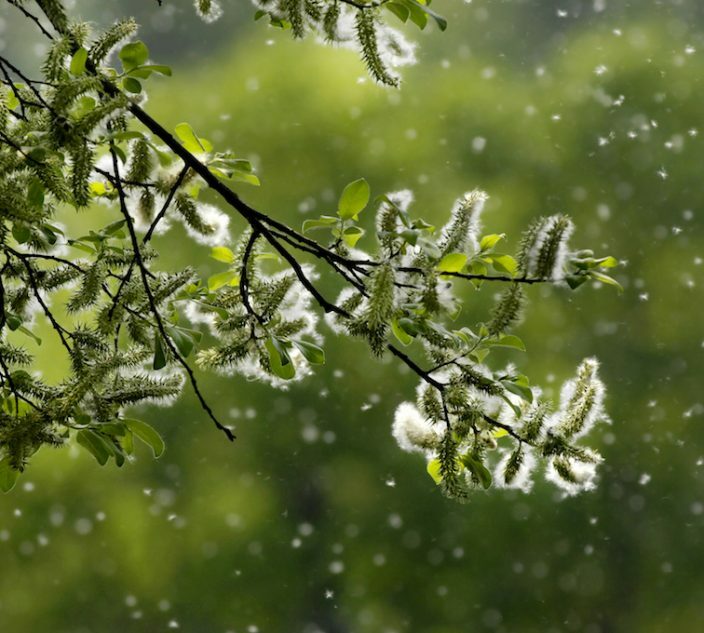 Make dust and pollen disappear. Dorm rooms can get notoriously untidy, but there’s a good reason to channel your inner neat freak. A few minutes of weekly cleaning can make the difference between reaching for a tissue or asthma inhaler – and feeling good. Regular vacuuming will help to control dust (not to mention, ew, dust mites), dirt and tracked-in pollen. With students in mind, Dirt Devil created the lightweight Bagless Stick Vacuum. Use the stick for floors and area carpets detach the hand vac to pick up crumbs, and try the crevice tool on the darkest corners. Visit Dirt Devil for more information. For shipping to Canada, visit Wayfair. Disposable wipes are a college student’s best friend as a safety staple. A quick swipe on hard surfaces helps to remove potential allergen cross-contact in the dining or lecture hall, or a local restaurant. Nice ‘N Clean’s Antibacterial Hand Wipes, available at CVS Pharmacy and local retailers nationwide, can be easily stowed away in backpacks and desks. They’re also great for damp-dusting tiny dorm spaces, since feather dusters and traditional cleaning tools can stir up irritants. Visit Nice ‘N Clean for more information. For shipping to Canada, visit Well for Kleenex Fresh On the Go Wipes. Late night studying or dashing between classes can leave students hungry for a satisfying snack. Enjoy Life Foods has come to the rescue so busy students can stick to the books with the new and improved Protein Bites. Each serving packs 6 grams of sunflower protein and is Top 8-allergen free and free of gluten, sesame, lupine and sulfites. The slightly chewy bites are wrapped in rich chocolate. Stock up and toss the convenient stay-fresh resealable bag into backpacks for busy days on campus. Visit Enjoy Life Foods. It can be hard to stay organized in a cramped dorm. Bed, Bath & Beyond’s Bedside Storage Caddy can serve as a smart solution to help keep important items such as smartphones, inhalers, tissues and glasses in a consistent location. The caddy is easily attached by inserting a flap under the mattress. Never fumble around in the dark again for which pile contains your meds. Visit Bed, Bath & Beyond to order yours. Erase the worry of leaving behind lifesaving auto-injectors when racing to class. Aterica’s Veta Smart Case is designed to fit the EpiPen® and connects to a smartphone app through Bluetooth technology Features include a separation alert if the smart case is left behind, a locator feature of pings and lights to find a misplaced auto-injector, and a temperature monitor. In an emergency, the app informs a pre-established support circle that the auto-injector is being removed from the case. Parents and students will both enjoy a new kind of peace of mind. Pre-order at Aterica.